We thought you might be interested in knowing what the most popular pet costumes were this past Halloween. 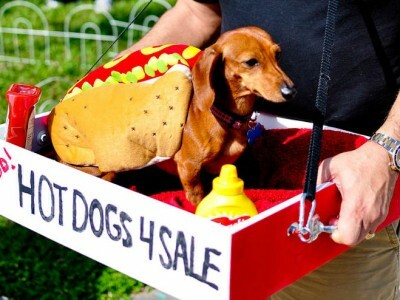 In a recent National Retail Federation survey, 16% of pet owners indicated they were dressing up their pet for Halloween. In addition to costumes, stores sold Halloween collars, bedding, and toys. So....who knows what will be up for XMAS!